The Wagga Wagga Botanical Gardens Zoo has a large range of both native and non Australian animals and birds. This is a Free Zoo, sponsored by the local council, and is a perfect place for both the tourist to Wagga and the local residents to spend some time with the beauty of nature. If taking young children through, buy a small bag of pellets before you go in, as most of the animals will come to you to get some food. Many of the animals in the park are free to roam. These include ducks, peacocks, chooks, black swans, geese and many other birds. The Zoo contains a very diverse range of animals and exhibits many local animals as well as those not local to the region. The Australian Animals section is located at the top end of the Sanctuary. This area houses kangaroos, wallabies, emus, wombats and native birds. The Budgerigar Aviary here has been constructed on the lines of the early colonial home, together with windmill, water tower and dunny. The Free Flight Aviary was completely destroyed in a storm in January 2007 and has recently been rebuilt. The Aviary\'s bird population is expected to return to normal levels over the next 12 months as breeding programs progress. Play 18 holes of Pitch and Putt Golf or work on your technique on the driving range. 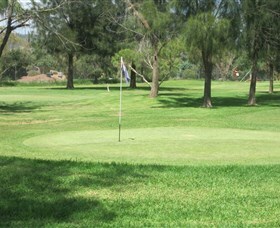 Wiradjuri Golf Centre or Pitch and Putt is home to an 18 hole par three Pitch and Putt course and 15 bay driving range. 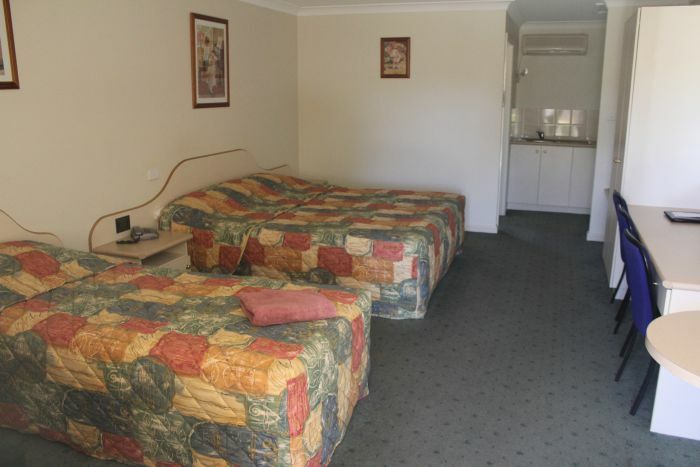 Within a 10 minute drive of Wagga Wagga's central business district and located near the Murrumbidgee river with its own parking lot and kiosk. Extended trading hours in summer. 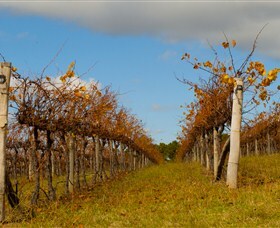 A producer of premium varietal table wines in Wagga Wagga, The Charles Sturt University Winery is an integral part of Australia's leading wine science school and is at the forefront of viticultural practices and wine making techniques. The winery focuses on excellence, using state of the art technology without sacrificing tradition. It is important that the winery reflect the same environment as other commercial Australian wineries, being market driven and producing the quality and styles of wine that obtain ready acceptance from wine consumers in the open market place. Come and visit their renovated Cellar Door in Wagga Wagga for tasting and sales of their premium sparkling, table and fortified wines, and extra virgin olive oil from one of the oldest olive groves in Australia! The winery is rated 4.5 stars in 2013 James Halliday Wine Companion. The Victory Memorial Gardens were established in 1925 as a tribute to those who fought and died in the First World War. Thomas Kerr, designer of the Sydney Botanic Gardens, was chosen to create this tribute which is located on the banks of the Wollundry lagoon in Wagga Wagga's business centre. A popular pastime for visitors is to feed the ducks, geese, swans and various water birds. Watch the geese as they cross Ivan Jack Drive - they have right of way! The Victory Memorial Gardens were originally established as a memorial to the men and women who served in World War I. The land was formerly the site of the Old Police Barracks, a brick building which faced Morrow Street and the police paddocks at the rear which were used to stable the police horses and their horse drawn vehicles. We're proud to bring you artwork by Riverina artists as well as the best visiting exhibitions from Australia and overseas. Home of the Margaret Carnegie Print Collection, which consists of over fourteen hundred original prints by some of Australia's foremost artists. 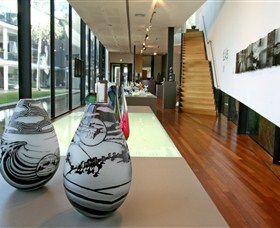 The Wagga Wagga Art Gallery houses a world class, nationally significant collection of contemporary art glass, featuring approximately five hundred pieces in a stand alone gallery. Guided tours of current exhibitions are available. Advance bookings are essential. GolfTec Wagga brings the simulated golfing world to life, whether you're an avid golfer who wants to go professional, a budding enthusiast who never gets an opportunity to play or like most people love the game but really can't master the skills on the real course. GolfTec's simulators are there for practice or play, with the ability to play over 40 courses from across the world or simply take to one of the ranges to practise your driving and chipping. There are four bays and each bay can play up to four players at a time. So grab your friends and challenge them a game. Situated on the banks of the Murrumbidgee River, Knights Meats and Deli is a family owned food providore in Wagga Wagga. A landmark local business for over 40 years, they love sourcing the best gourmet ingredients from the Riverina, Australia and beyond. With over 30 suppliers from within a 100 mile radius of Wagga Wagga, Knights Meats and Deli is the best place to access a large range of quality produce and taste a selection of the unique flavours that the Riverina has to offer. They also supply the region's biggest range of Australian and international artisan cheese and gourmet goods in which to indulge throughout your stay. A visit to Wagga Wagga won't be complete without enjoying the gourmet ingredients, value for money and memorable experience of Knights Meats and Deli. A must visit destination for all things delicious. The 16 lane Wagga Bowl and Diner features an automatic scoring system, a corporate function area, an American inspired diner, and the best neon lighting and music in Wagga Wagga! Whether you're stopping by for ten pin bowling with friends, or enjoying a burger and drink with family, relax at a table or on a sofa, while the food and drink are served by staff. Thirsty Crow, Wagga Wagga's first microbrewery, opened in 2011. The 500 litre brewery is the working showpiece, standing proudly in full view. Producing six beers year round and several seasonal brews for its adjoining 140 seat bar; it is a premier unique venue in Wagga's central business district. The Thirsty Crow's kitchen specialises in craft pizzas, which are a little bit quirky and pair up well with several of the brews. Antipasto and cheese platters are available as well as wine, tea and locally roasted coffee. 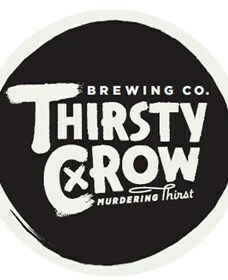 The Thirsty Crow has already won international and national trophies for its beer and food respectively. Come in and find out why! 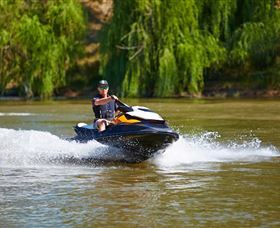 Wagga Beach is located on the banks of the beautiful Murrumbidgee River, in the centre of the inland City of Wagga Wagga. It is very popular during the summer months, when the temperature is climbing. You can relax on the shaded lawn, picnic on the banks of the river or go for a swim. 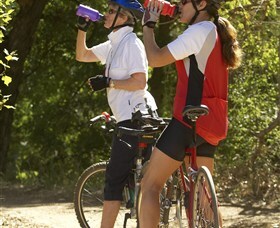 There are also barbecue facilities and a fantastic childrens playground available. To learn more about the Murrumbidgee River, visit the information display. You might even catch a glimpse of the famous five o'clock wave! 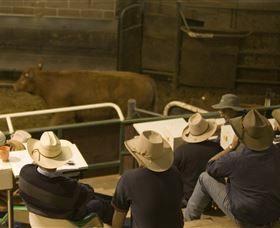 The Wagga Wagga Livestock Marketing Centre is the premier livestock market in Australia. Established in 1979, it has since led the way in the selling of Livestock for over 20 years. Arrange a group tour through one of the biggest livestock marketing centres in Australia. Each year about 1.5 million sheep and 130,000 cattle are sold through the Centre. Wagga Wagga has a rich and diverse public art collection: discover sculptures, Wiradjuri weaving and beautiful little bronze art works right across the City. Wagga Wagga City Council have made a strong commitment to develop public art making opportunities in the area. 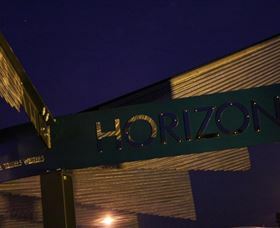 In the upcoming years a range of public art commissions will occur. 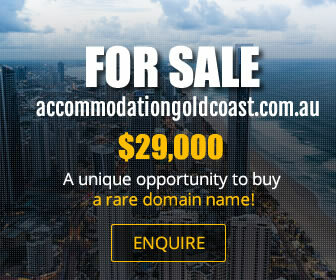 These will range from high profile artists commissions to community generated projects. The web site provided shows a map of public art that already exists in Wagga. As new commissions arise, video documentation of the process of creation and installation will be embedded for each work. 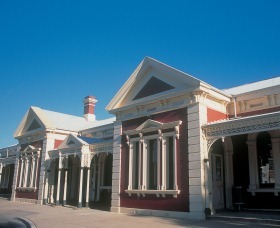 Museum of the Riverina is in the historic 1881 Council Chambers, provides regular programs of traveling exhibitions with a diversity of themes throughout the year. This majestic building is the heart of the city's precinct. 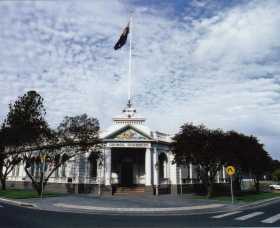 This site was originally the Town Hall and Municipal Offices as well as the seat of Local Government until 1999 when converted to the Museum of the Riverina. Explore our city through stories, memories and collections at the Museum of the Riverina - Botanic Gardens Site. 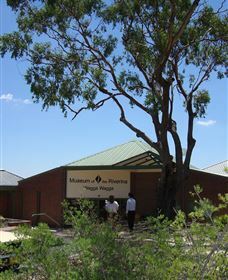 The museum highlights the people, places and events that give Wagga Wagga its unique character. 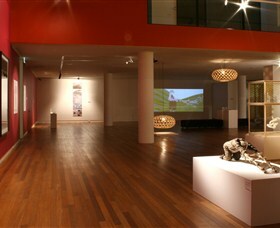 Home of changing exhibitions, the museum's permanent collection consists of Kidzone, Kidztrack and the Wagga Wagga Sporting Hall of Fame. This is a great place for families, with regular school holiday events and a dedicated discovery and play space for children from five to twelve. Wagga Wagga's Steam and Vintage Museum displays a magnificant array of engines, all working. 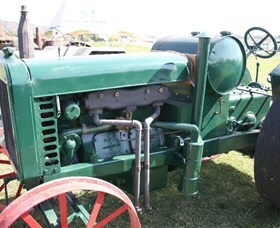 There are shearing and threshing machines, and all types of stationary engines. They are open to the public on the same days as the Society of Model Engineers run the miniature trains. Take the whole family along to view the vintage steam and oil engines display. An enjoyable and educational outing, free of charge! Every first and third Sunday of the month, Wagga Wagga's Steam and Vintage Museum is open from 10.30am-3pm or by appointment. Situated in the Botanic Gardens, the Willans Hill Miniature Railway runs through the garden and features an authentic station and booking office. The miniature railway track weaves through a garden setting, through woodlands, a tunnel and over a bridge. No visit to Wagga Wagga is complete without a ride on the miniature railway. Covered footwear is essential to ride the trains. 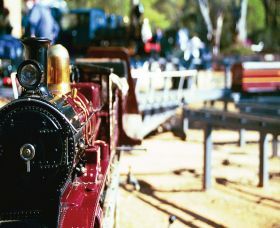 An invitation run is held in November every year, where a gathering of model train enthusiasts Australia wide show their trains to the delight of adults and children alike. Willans Hill Miniature Railway will open for groups with prior arrangement. Country High Tea offers second to none tea experience in Wagga Wagga. With over 150 teas from around the world, they're sure to have something for everyone. They have a large selection of gift ware and tea accessories for that hard to buy for person. So come in and enjoy a cuppa and experience old world charm of yesteryear. 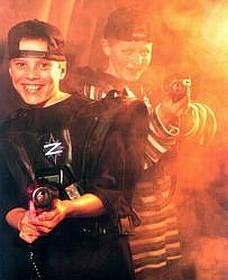 For your experience at Laser Tag your game will be played in a fluorescent three level arena, famous for losing people in its tricky corridors! Music is pounding into the arena and your enemy are everywhere! The game itself can be played as either a solo free-for-all, or as a strategic team game. The objective of the game is to use your phaser to shoot your enemy and accumulate the most amount of points. You can also attack your opponents home base, which will give you bonus points, and maybe even a unique ability. Food I Am Cooking School is located on an all-encompassing rural destination site on the outskirts of Wagga Wagga. Food I Am provides unique, quality food, wine and agritourism experiences, including, cooking classes, junior chef, corporate team building workshops, regional and international food treks, private dining and chefs table. Food I Am brings together a diverse calendar of events with incredible regional and internationally acclaimed chefs, who are not only experts, they really know how to teach all levels. And they 're keen to share their secrets with you! Food I Am is a modern, well designed space available to host corporate events including product launches, team building workshops, photo shoots and other private events. Gift vouchers are available, the perfect gift for a foodie! Check the web site, subscribe to the newsletter, or like them on Facebook for updates. Delectable dining at home is just a cooking class away! Wagga Wagga Rail Heritage (Association) formed in 2008. This group of Riverina rail enthusiasts aim to preserve the railway heritage equipment, historic records and heritage assets of the Wagga Wagga district and have developed a rail museum is the Porter's room of the Wagga Wagga Station. The Museum houses over 500 historic railway items from catering and stationary equipment to communication devices and mechanical items. The Museum also looks to Initiate school excursions with local and regional schools as wel as provide educational experience for rail travellers, families and interested groups. Step back in time and relive the era of the "Tin Hare" and railway tricycles. The Tourist Information Centre has more information for anyone wishing to visit this historic site. Experience the seaside inside! 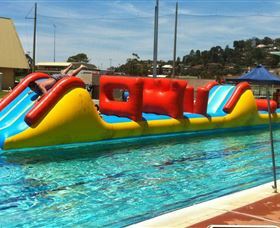 The Oasis Regional Aquatic Centre is located in the heart of the city centre and is run by the Wagga Wagga City Council. The indoor area contains the 25 metre pool, leisure pools (including Turbo Pool and mushrooms), toddlers pools and a program pool which is frequently used for children's swimming lessons and hydrotherapy. The outdoor pools include a 50 metre pool, and diving pool which has a one metre and three metre springboard, and five metre platform. The facility has large male, female, family and disabled accessible change rooms, free barbecues and children's playground. The Oasis is used by various sporting groups including water polo, diving, and triathlon groups. The facility also provides swimming lessons, Aqua Aerobics and Aqua Zumba. 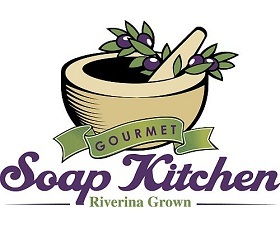 At the Gourmet Soap Kitchen they use the best ingredients sourced directly from local farmers. Products are made at their showroom and workshop and you may have the opportunity to watch them make their products. The Gourmet Soap Kitchen product range includes: soap, shampoo, moisturisers, masks, lip balms, bath bombs, scrubs, candles and much more. Group and party bookings are most welcome. The Wiradjuri Walking Track follows a 30 kilometre trail around the city of Wagga Wagga, including along the banks of the Murrumbidgee River. Suitable for people of all ages, its a great way to discover the history and nature of this regional centre. There are 11 sign-posted access points, although you may join or leave the track at many points along the way. The Wollundry Loop is 12.1 kilometres and is a more leisurely walk, following the perimeter of the Wollundry Lagoon. The lagoon, which is inhabited by native birds, animals and a family of geese, is a cool, tranquil spot. Enjoyable in all seasons. 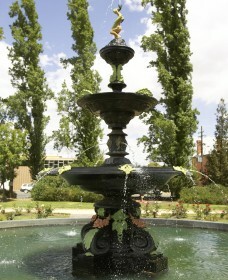 Located at the base of Willans Hill, the Wagga Wagga Botanic Gardens are set over eight hectares. A mini zoo, children's adventure playground, free flight aviary and rainforest section are open to visitors. 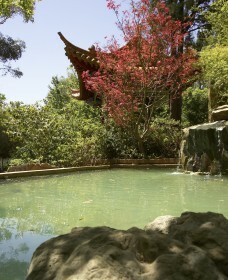 Other attractions include a Tree Chapel, Chinese Garden, Camellia and Cactus Gardens and Miniature Railway. The Miniature Railway operates the first and third Sunday of each month. The track runs through woodlands, a tunnel and over a bridge. Train rides operate between 10:30am and 12:30pm and 1:30pm to 4pm. Covered footwear is essential to ride the trains. A kiosk and the Garden Court Restaurant are open for snacks and meals. The Garden Court Restaurant can cater for conferences. Covered electric barbecues are also available. 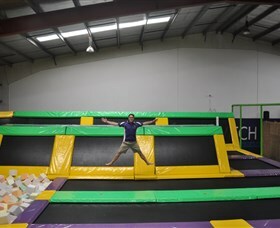 Jump n Putt is the Riverina's only indoor and air-conditioned trampoline park and mini golf course. Jump n Putt is the healthy and fun way to enjoy some spare time, hang out with friends or bond during a corporate party. The best way to secure your spot is to book. The easiest way to do this is by booking online, you can do this on the Jump n Putt website. Jump, putt, party and play at Jump n Putt. Noah's Ark Play Centre Wagga Wagga is a children's play centre providing a play and party location for all children under 12 years of age. For a fantastic time, come and board the ark and play, in year round air-conditioned comfort. 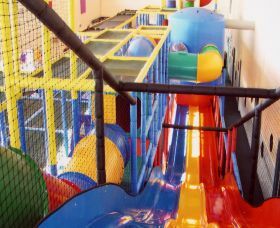 Slides, ball pools, flying foxes, crawl tunnels, squeeze rollers, cosy coupe car track and more. Plaster painting is also available. Have a coffee or stay for lunch. A large selection of hot and cold foods available as well as kid's meals at reasonable prices. Don't forget to bring your socks! For the ultimate day with your mates look no further. Six fields, endless scenarios and action packed. Suit up and enjoy a round of action packed, fast paced paintballing. Why not book your next birthday party, bucks/hens parties, Christmas Party or corporate team building? 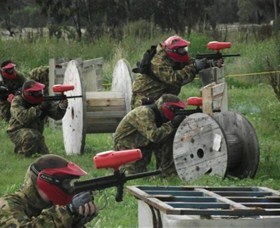 Since October 2011, Project Paintball Wagga has been Wagga's choice for Paintball. They have nine themed, exciting fields set across 40 acres and the best part? They're less than five minutes east of Wagga's Central Business District! A large car park (including bus parking), covered safety briefing area and equipment for over 50 players at any given time, their Wagga Paintball facility offers the best Paintball experience in their region! They are open every day with morning, afternoon and twilight sessions available during daylight savings, by appointment. All participants must be over 16. A great day out! Just 15 minutes from Wagga Wagga on the Oura Road, the Wagga Wagga Winery offers cellar door sales and a fully licensed restaurant, set amongst 17 acres of established grapevines a stone's throw from the Murrumbidgee River. A friendly welcome and your comfort is assured in the restaurant, a genuine Australian cypress pine log construction with extensive verandas, air-conditioning for summer and a massive open fire place for winter warmth. A large handpainted mural by Jerry Willis on the dining wall is truly a masterpiece not to be missed. There is also an extensive range of local memorabilia to peruse while you dine in the casual atmosphere, either inside two large bistros or outside in peaceful, sheltered gardens with playground for the kids. Conferences and weddings of up to 80 people can be catered for in two rooms: 'The Settlers Room' (60 people), and 'The Mural Room' (80 people). Cottontails is situated on 40 hectares of pristine country, featuring over four hectares of vineyard and olive trees, which produce Cottontails own range of wines and olive oil. On offer at Cottontails are a select range of local wines - featuring Cottontails own award winning range, exclusive international Harbin and local beers, and a selection of popular cocktails and drinks, guaranteed to indulge the senses. With their modern, stylish, purpose built establishment, Cottontails offers relaxed country ambience, and spectacular views across Wagga, in this purpose built winery. Warbird Aerial Adventures Proudly Presents Wagga Wagga's Newest Adventure. They offer a range of adventure flights in the Ex PLAAF Nanchang CJ-6a warbird. From a smooth and gentle scenic flight up to all the action, aerobatics and adrenalin you can handle. Alex von Mengersen is the chief pilot of Warbird Aerial Adventures. With over 15 years aviation experience Alex has a commercial pilots licence, aerobatics rating and RA-Aus senior instructor rating, he is also a qualified avionics engineer with experience on both large and small passenger aircraft, private, historic and recreational aircraft. Springview Eco-Farm is located in the hills south of Wagga; a unique feature of the property is the four ecosystems with many flora, fauna, and fungi from this region. Your hosts, Pennie and Alan, enable connections with nature, growing wholesome and chemical-free foods, learning about happy, confident animals, and the native flora, fauna, and geology while growing an abundance of foods for people, animals, and wildlife. An integral experience when at Springview are the feasts created from locally sourced ingredients, including their own Bush Goddess Paddock Pork. Pennie is an experienced and ethical caterer and is known for her creativity with ingredients and presentations. Regular events and workshops are held at Springview Eco-Farm on many topics and Pennie and Alan welcome visitors to this beautiful place in Australia. Groups, international guests, and families are welcome to share this place of sensual experiences and learning through your fingertips. 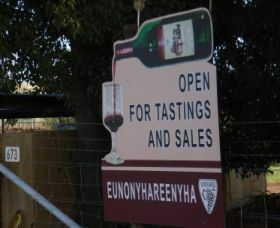 Eunonyhareenyha Winery is a boutique family owned and run winery situated in the beautiful Eunony Valley just 8.5 kilometres from Wagga Wagga, the largest inland city in New South Wales. Tasting and sales are through the cellar door. Vines are grown in sandy-loam soil with excellent drainage, cold winters with frosts as low as -three degrees Celsius and summers up to 40 plus degrees. The fruit is grown using minimal water and chemicals. These conditions are perfect for red wine. Their wines are not blended so are true to variety. Owners Howard and Jan Pollard are justly proud of their product. Cabernet Sauvignon - Just2Hard A full-bodied wine with ripe berry characters and gentle tannins. Matured in American Oak for 18 months before bottling. Enjoy with red meat and casserole food. 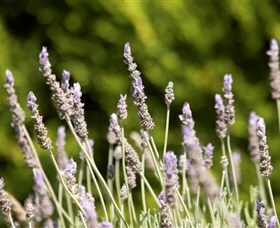 Why not take a leisurely 30 minute drive from Wagga Wagga to Rustique Lavender Farm, where you can surround yourself with the calming and relaxing atmosphere of lavender. 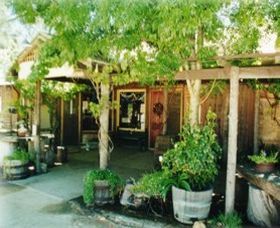 Take a stroll through lavender and heritage roses, or browse in the shop with its delightful range of products, gifts, craft, rose products, ceramics, and culinary delights. Bring some friends for a cuppa, or take some time out to have a refreshing and uplifting massage. Bus and group tours are welcome by appointment.